Flopsie Toro, this adorable "red" bull stuffed animal, has soft rust colored fur, brown hooves and tail tuft, tan muzzle and stately horns, and sweet brown eyes face. Plush bull Toro from our Flopsies collection has a huggable under-stuffed body which lets him sit, stand, or lie down, which of course, is his favorite position. 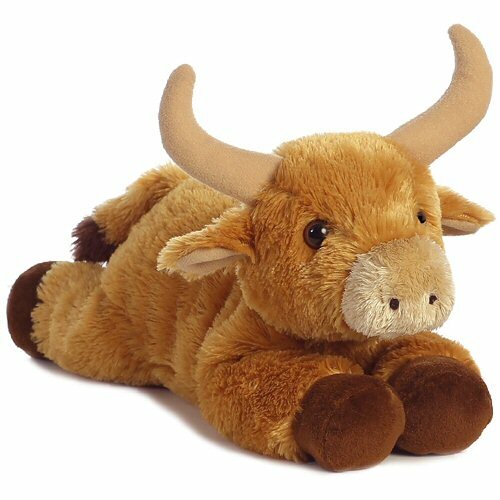 Ready for hours of imaginative adventure and cuddly fun, this stuffed bull is definitely a friend for life.